A record 125 associations submitted their final entry to compete inTokyoat the ZEN-NOH 2014 ITTF World Team Table Tennis Championship on 28 April to 5 May 2014.The 125 countries include 120 men’s and 100 women’s teams who will be battling it out to be crowned the best table tennis team on earth. This number supersedes the previous record of 118 countries at the LIEBHERR 2012 World Team Table Tennis Championships held in Dortmund,Germany, with Botswana ,Zambia and Palestine making their first appearance at an ITTF World Championships. The draw for the highest 3 Divisions including the Championship Division is being held at 13:00 on 15 March 2014 at the TV Tokyo studio (TV Tokyo no. 1 studio Tranomon 4-3-12, Minato-ku, Tokyo, Japan 105-8012). Defending champions China will be the number one seeds and the teams to beat in both the Men’s and Women’s events as they have selected extremely strong teams, including reigning Olympic and World Champions ZHANG Jike and LI Xiaxiao. Despite losing Ai FUKUHARA to injury, the Japanese women’s team, who won silver at London 2012 and are seeded two, will push the Chinese all the way with their strong and youthful lineup led by Kasumi ISHIKAWA. Germany, the number two seeds in the men’s, led by former world number one Timo BOLL and Olympic bronze medalist Dimitrij OVTCHAROV will be the biggest obstacle for the Chinese men in winning their 7th title in a row. To apply for media accreditation to the ZEN-NOH 2014 World Team Table Tennis Championships, please fill in this application form: http://bit.ly/14WTTTCMedia by 17 March 2014. 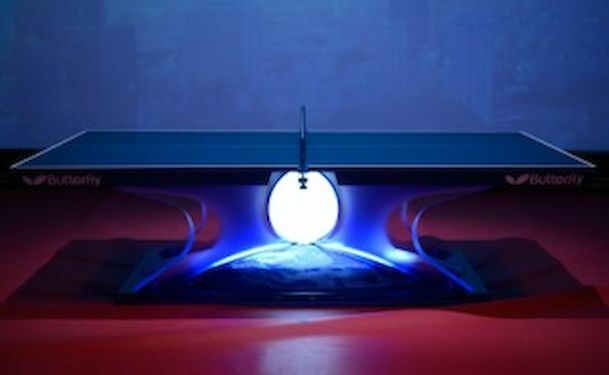 The ZEN-NOH 2014 World Table Tennis Championships will be held in the Yoyogi National Gymnasium and the Tokyo Gymnasium between 28 April – 5 May 2014. The World Team Championships are held every two years, with the World Individual Championships occurring on alternate years. Each team can enter a maximum of five players and a minimum of three. The teams are split into five different divisions, based on their performance at the last team championships in 2012 and their current world ranking. The Championship Division, which will be competing for the medals are made up of 24 teams.